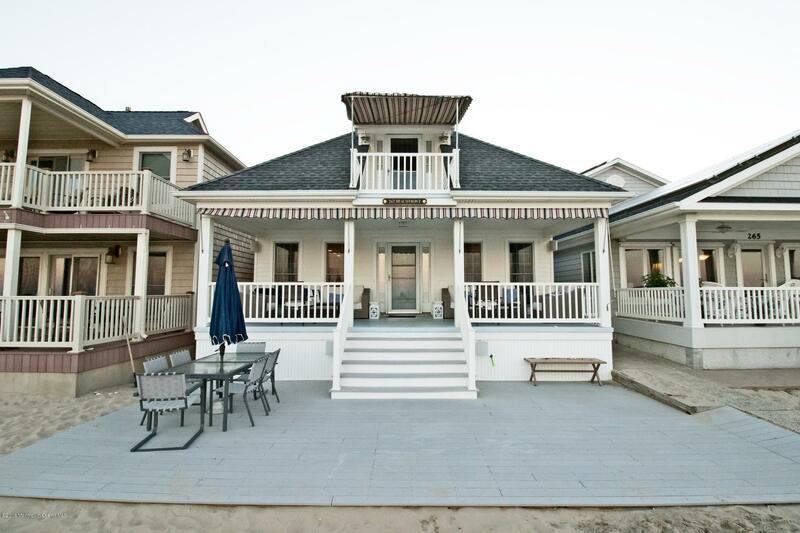 BEACHFRONT WINTER RENTAL immediately available now through 5/17/19. This wonderful 3 bedroom, 3 full bath house has an open kitchen, dining area and family room with fireplace. 1st floor master bedroom 1/ walk-in closet and attached master bath is great for grandparents. Convenient mud room/laundry room on 1st floor. 2nd floor has 2 bedrooms each with walk-out balconies and 1 full bathroom. Deck is perfect for outdoor dinging. Wonderful ocean views for a wonderful stay. SLEEPS 9 (1 King, 2 Queen, twin bunk beds and 1 twin). NO PETS & NO SMOKING. Available NOW through 5/17/19 for $2, 500/month. Off street parking for 3 cars.